FANTASTIC OPPORTUNITY! 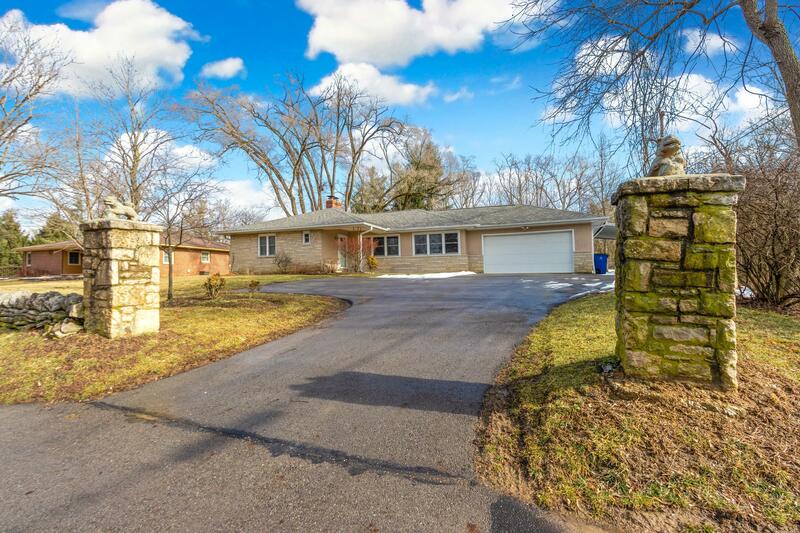 LIVE LARGE ranch style floor plan situated on a SCENIC .46 acre wooded lot, next to Thaddeus Kosciuszko Park! SPACIOUS & OPEN concept floor plan featuring loads of natural light, stone fireplace & gleaming hardwood floors. EFFICIENT chef's Kitchen featuring painted white cabinetry, stainless steel appliances & access to covered patio. HUGE basement featuring Recreation RM w/fireplace & plenty of storage. AMAZING, fenced wooded lot! Updated double insulated windows, trim work, NEW H2O tank '18, NEW well pump & water softener '18, septic aerator '17. OVERSIZED two car garage, turn around drive & carport. CENTRAL location to EVERYTHING Dublin has to offer!